What did you love best about 200,000 Miles aboard the Destroyer Cotten? The sense of Immediacy ... felt like I was there. 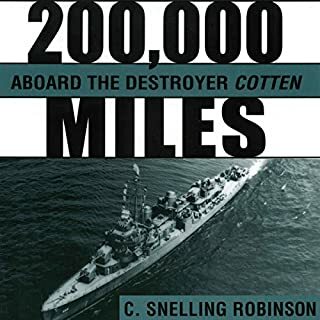 What other book might you compare 200,000 Miles aboard the Destroyer Cotten to and why? 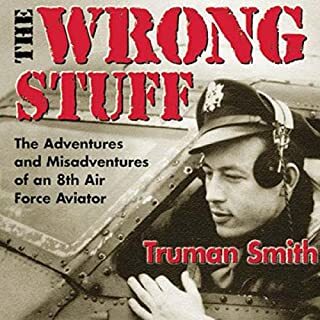 The Wrong Stuff, which was about bombers in WW II but was also a very well written first person "You are there" type narrative. Read it well without getting over emotional. Kept "in the background" and let the author's words speak for themselves. This is the kind of narration I like. The narrator reads well and intelligently while keeping the focus on the story not on his "performance." A very enjoyable and enlightening listening experience. 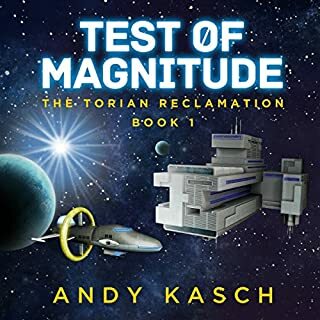 Where does The Wrong Stuff rank among all the audiobooks you’ve listened to so far? What was one of the most memorable moments of The Wrong Stuff? Many good moments but I especially liked the last few chapters. Reader did a very good job, overall. To any who are sci-fi fans, this has it all. Dereck....60's hippie transported to a galaxy far away! Title of book sounds fine. Excellent story and very well read. Can't wait for the next one and I hope they use the same narrator.